The BT today has reported that Vacanza @East, a freehold condo in the Kembangan area, is previewing from today. 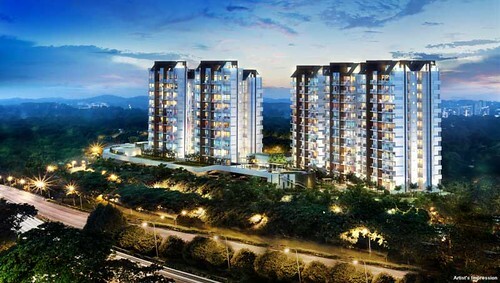 This is a joint-venture project between Hoi Hup Realty and Malaysia's Sunway group. The average price is expected to be slightly over $1,000psf for the 141 units being released in two blocks of the 12-storey project. Vacanza @East will have a total 473 units in seven blocks. The project comprises one to four-bedroom units as well as penthouses. About 39% of uinits have either two bedrooms or two bedrooms with a study. Another 30% are three-bedders. No Comment to " VACANZA @EAST: Preview starts today! "